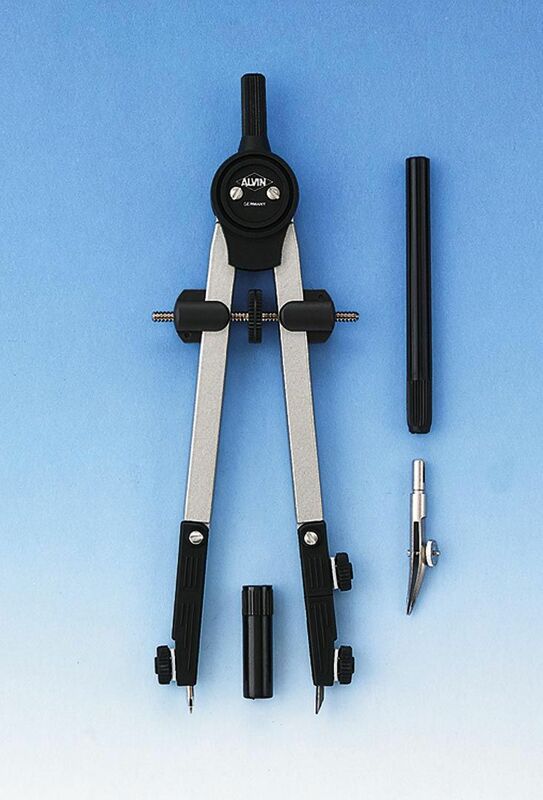 BOW COMPASS WITH RULING PEN - interchangeable pen, pencil and divider parts for versatility. 6" pencil compass/divider Fast center wheel adj. Capped spindle prevents over-extension High-tech design of matte silver upper legs, black fiberglass lower legs For circles 1/8" to 9"